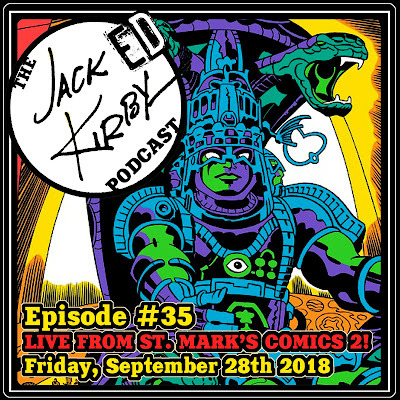 Cultural Compulsive Disorder: The Jacked Kirby Podcast: Episode #35 - Live From St Mark's Comics 2! 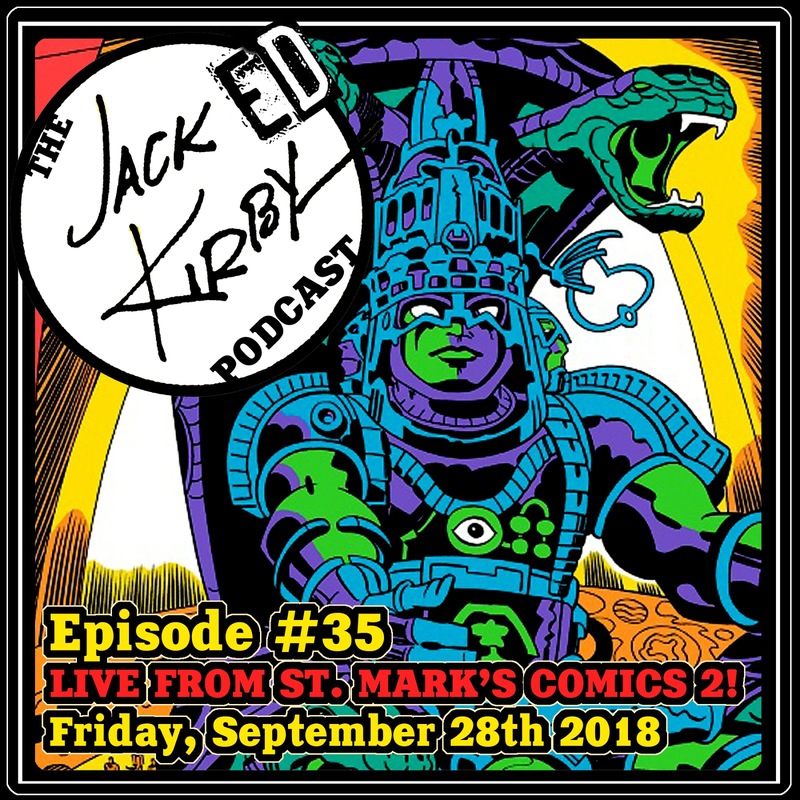 The Jacked Kirby Podcast: Episode #35 - Live From St Mark's Comics 2! On Friday, September 28th 2018, the Jacked Kirby boys did their annual live recording at St. Mark’s Comics in NYC’s East Village (11 St. Mark’s Place. NY, NY 10003) to kick off NY SUPERWEEK leading up to NYCC! Back for their second year, Mike D. & TL invite some friends to join them to discuss the King and his influence in current pop-culture, comic book culture, and more! JK tech-master/producer ROB MARTIN kicks off the conversation with the boys, followed by St. Mark’s Comics’ proprietor MITCH ... then their old pal REV. SAL MONDRONE jumps on for some laughings... and the whole show concludes with artist/musician/Kirby Kollector JASIN CADIC! 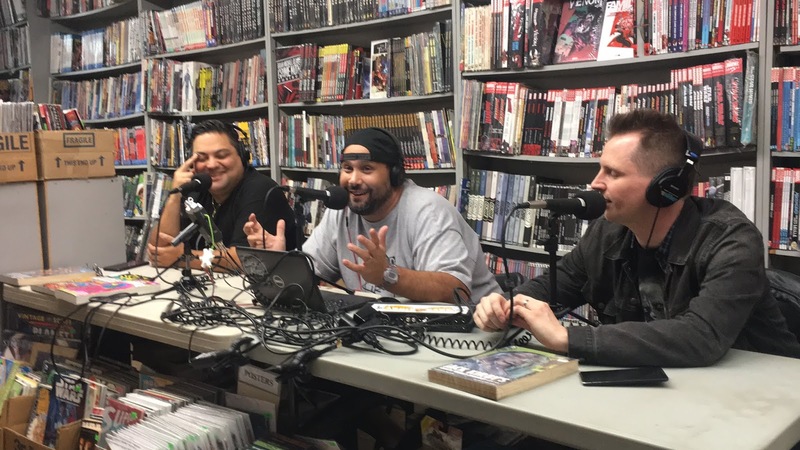 So have a listen and see how the Jacked Kirby Krew handle a live audience at NYC’s preeminent mom ‘n’ pop comic shop during operating hours! Fun times! As usual big shout outs to our super producer Rob Martin for making the podcast sound unbelievable and getting the show post week in and week out!!!! Shout out to all the CCD crew that came out to the show... you guys are the best! Episode #35: Live from St. Mark's 2!